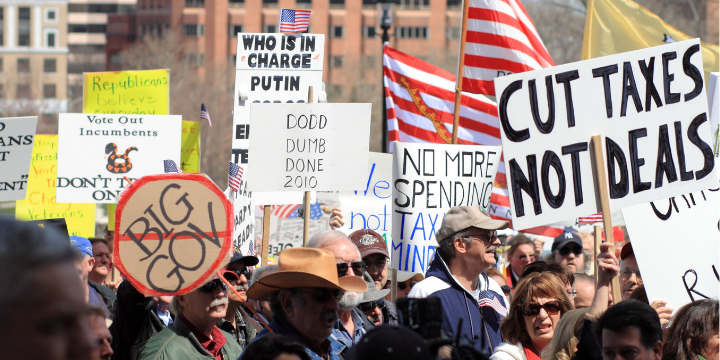 Ten years ago, the Tea Party rallied nationwide to send a message to the bureaucrats on the Hill that were sending our country into a downward spiral. Today, our patriots are marching to get the word out about the dangerous threat of socialism. For those marching on behalf of freedom, thank you for all your hard work. For those who couldn’t make it out, please help get the word out on social media using the #stopsocialismchoosefreedom hashtag. Also, sign our petition telling members of Congress to crush the threat of socialism. America will never be a socialist country!